February can be a difficult and even depressing month: The excitement of Christmas and New Year’s is decidedly past, while the promise of spring seems very far away. And as we in Northern New Jersey prepare to join much of the country that is about to be plunged into a sustained wintry mix of below-freezing temperatures and precipitation, it would be easy for our spirits to match the cold dreariness outside. At first it perhaps seems odd that such a passage would be appointed for such a cold and barren time, but in reality, it is entirely fitting. 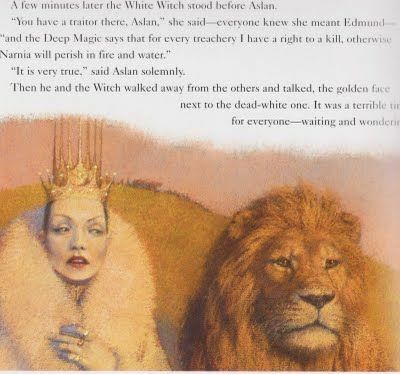 It recalls C. S. Lewis’s The Lion, the Witch, and the Wardrobe: When the children are transported through the wardrobe to the land of Narnia under the thrall of the White Witch, they find themselves where “it is always winter, but never Christmas”—until, of course, the return of Aslan who breaks the curse that afflicts the land. Similarly, we who have recently celebrated Christmas know that it brings the promise of Easter: overcoming sin, putting Death to death, and bringing new life and rebirth. We prepared ourselves throughout Advent to greet the first part of this great love story, and we will prepare ourselves with even greater intensity and devotion throughout Lent to welcome its culmination. Our seasonal climate helps to reinforce these Gospel truths upon which our lives depend, and around which they revolve. With the benefit of sanctified imaginations, it gives deeper appreciation for the profundity of a rose blooming in the midst of bleak midwinter; that image, in turn, helps us to embrace the narrative of the Gospel as it unfolds in our own lives during these winter months. Where the world is caught up in the cold and dreary forecast, we’re caught up in the reality that all of creation is readying itself to receive the promise of salvation. Every day, we help our students to behold these spiritual realities, and to prepare themselves both to receive and to participate in the fullness of their joy. As a result, the students are freed from winter doldrums and seasonal melancholy: Even as the thermostat drops and the cold seems to stretch on endlessly, their hearts have never been more on fire with God’s kindling love.